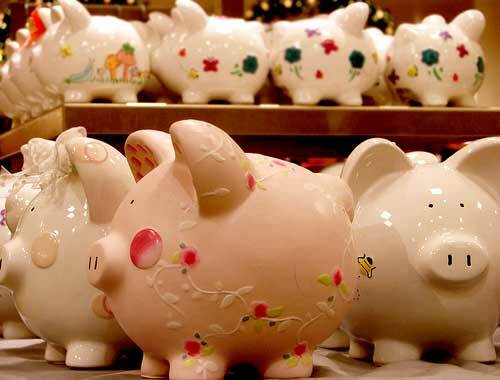 Saving more money is a goal most of us share, but many Americans find that they have very little saved at the end of the month. The recent recession saw Americans saving more than we have in years, up to nearly 7% at one point. In recent months though, that number has been falling back down again. From the Bureau of Economic Analysis: “Personal saving — DPI less personal outlays — was $324.1 billion in August, compared with $436.0 billion in July. Personal saving as a percentage of disposable personal income was 3.0 percent in August, compared with 4.0 percent in July”. It’s too soon to say if we’ll continue to see decreases in the savings rates, but it is likely. As individuals we strive to save more, but it’s not always easy to maintain especially when the recession seems like it’s on the way out. How Can You Save More without Thinking? A good rule of thumb is to save at least 10% of your gross income. If 10% is too much, try 5%. You can increase it when you get a raise or when you find ways to decrease your expenses. Look ahead over the next few months or even several years, consider what you need to spend money on. An upcoming wedding, replacing a car, or buying a house are all goals that require saving over long periods of time. What’s the Best Account to Save Money? The best place to put your money is somewhere you can’t easily touch it — for that reason I like Capital One 360 Savings. It takes several days for your money to be available, and 2-3 business days for a withdraw to be deposited. Having a waiting period for accessing your money creates a passive barrier that will keep you from withdrawing the money on a whim. Any online savings bank will do, but ING’s has a clean and easy to use interface. You can set up automatic withdrawals at various time periods (weekly, bi-weekly, monthly, etc. ), and changing it should you need to is a breeze. You can even set up multiple accounts to save for specific goals. Start with an emergency fund, but then you can add accounts for different mid-long term goals. Avoid using a savings account that is attached to your checking account for long-term savings. If you have a savings account attached to your checking account use it to ensure your account doesn’t overdraw, and to save for short-term goals. Using it for a long-term goal will make it too easy to withdraw money to cover that gorgeous new pair of shoes, or a TV that’s on sale. This is an easy method to save money without thinking about saving. It has helped my family start a small emergency fund even while we are tackling our consumer debt. The key to growing your money is not to touch it, unless it is truly an emergency. You must decide what an emergency is for yourself, but a typical emergency fund should only be used in times of job loss or medical emergencies. 1,001 ways to save more money: I dare you to read and not find one way you could save a more dough. Save Money by Making Homamade Products: Using a little DIY initiative, you can save a ton of cash. The Psychology of Automation: Ramit Sethi covers why you should automate your money. Do you save money every month? Do you automate it or DIY your savings? 10% is how much I do and it’s great watching the savings grow. It’s actually growing faster than I thought it would! I have it in a separate online account which isn’t attached to any other checking account so I don’t feel tempted to spend it and it’s great! And the best thing is… I transfer the amount as soon as my pay comes in so I won’t even have time to realize it’s in there before it’s gone! @kenyantykoon It does come down to discipline. 10% is a rule of thumb, if you can save more, by all means do! FS, I like the”go broke” bank account. Great way to put it! Steven, I think the best and most common advice is to live below your means. Focus on saving more, and paying down debt. The less monthly expenses you have the better. Thnx for your post Kelly. I think if you can flush as much money out of your working capital “Go broke” bank account, you’ll wake up one day and find a ton of savings. We learn to live within our means, whether we have more or less. I was not prepared for the recession and really had a tough time during that time. But how can I make sure that I am prepared for such bad situations in future? I have a nominal income and save around 4-6% of my monthly income.